Happy New Year everybody! With 2009 officially over, it's time to look back, and talk about my top ten games of the past year. As always, only one game per franchise. Also, I'd like to point out something, I HAVE NOT played Assassins Creed 2, Modern Warfare 2, Uncharted 2, and a few other big-name games this year. So if your favorite game is left off the list, it may just be that I simply haven't played it. Without any further delay, lets get started. What's the best way to start the year after they drop the new year's ball? Why, roll it around, of course! 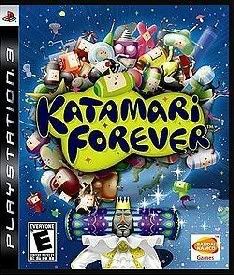 Katamari Forever is basically a "greatest hits" game, featuring all the best levels of Katamari games' past. This game also introduces some (much needed) innovation to the series, adding the ability to jump, as well as magnetic power-ups to increase your ability to pick up objects. Despite this, Katamari Forever DOES suffer a bit from the "been there, rolled that" syndrome, and as such, it just barely comes in at ten. Have you ever bludeoned someone in the head with a spiked club, then shoved their head up their own @$$? If you played Madworld, then you certainly have. Much like God of War, Madworld lets you be as utterly brutal as your twisted little heart desires. Unlike God of War, Madworld actually REWARDS you for doing so. This game is all about earning points, and the best way to do so is to brutalize your opponents in the most gruesome ways you can think off. Add in some of the funniest dialogue I've ever heard (from the in-game announcers), and Madworld is a game like no other. Sure it's short, but it's oh so sweet. Little Mac is back, and better than ever. This newest itteration of the classic franchise is everything that fans of the series have come to expect, and more. 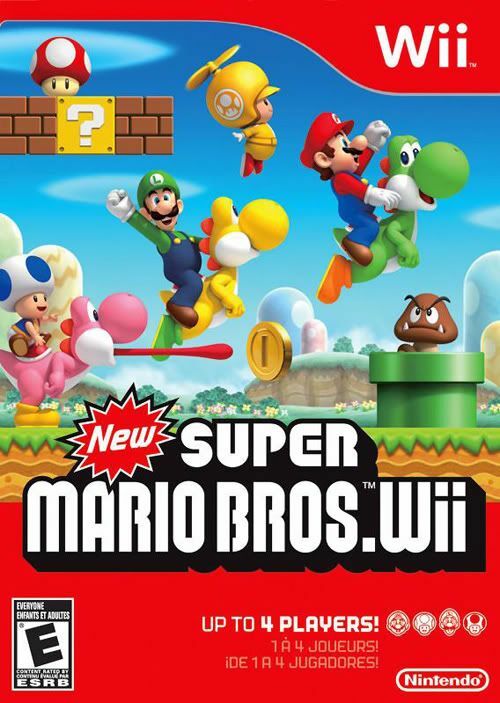 The gameplay is classic, the graphics are among the best on the Wii, and the characters are just fun to watch. Oh yeah, and did I mention it's HARD? 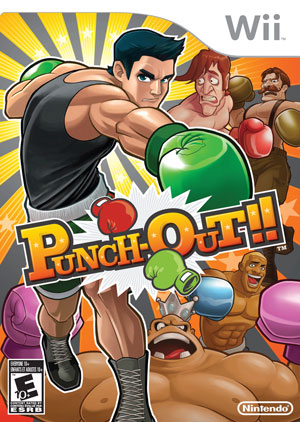 Seriously, if you've never played a Punch-out game before, prepare to swallow your own testicles more than once. And if you think it's hard the FIRST time around, they also include a Title Defense mode, where you fight all the boxers again, all of whom are even TOUGHER than before. To put this in perspective, there's actually a chance that you'll lose to GLASS JOE. That's insane. There are only two absolutes in this world. One is that Pokemon always seems to find it's way onto my top ten lists. The other is that with each new generation of Pokemon, they always release third game a year or two afterwards with significant upgrades. Platinum doesn't add an OVERWHELMING amount of new content, but what it does add makes it the definitive version of the current gen Pokemon games. New forms, the Battle Tower, and a new Distortion World are just some of the additions this newest itteration provides. If you already own Diamond or Pearl, you might not find enough here to justify a purchase, but if you've held out until now, Platinum is right up your alley. Like every other child of the 80's, I've got quite the soft spot for the Ghostbusters. So when I heard that a current gen Ghostbusters game was in the works, I was filled with anticipation and dread at the same time. 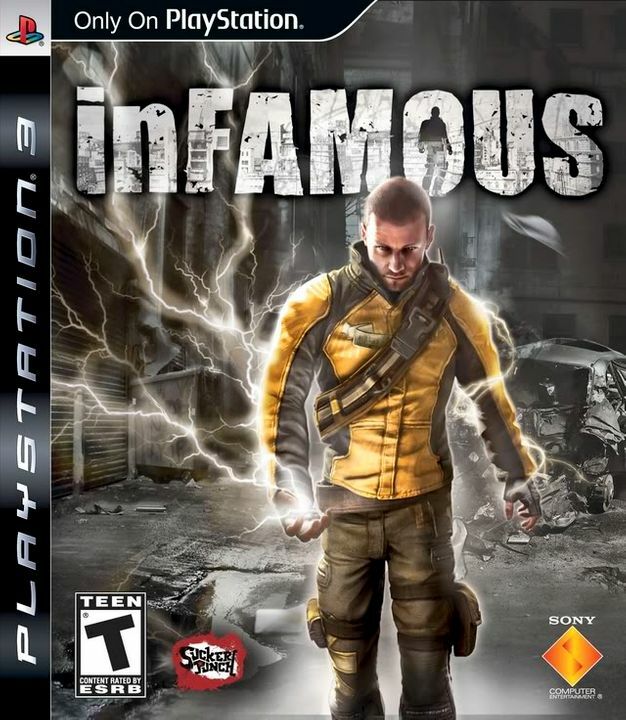 After all, when's the last time a GOOD movie-to-video game adaptation was done? 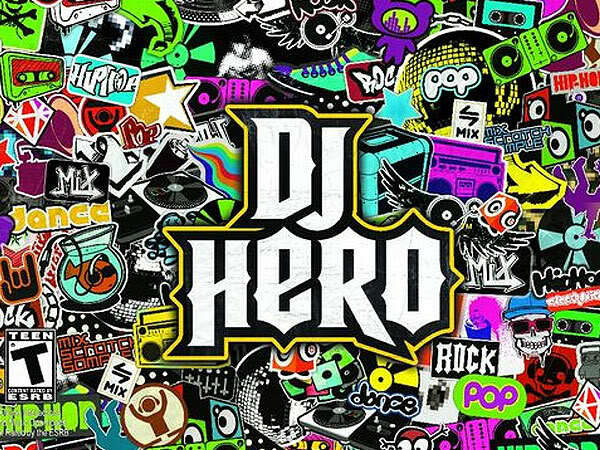 Well, after playing this game, I can say 2009. Ghostbuster the game is exactly what fans of the series always wanted, a faithful adaptation of the movies, written by none other than Dan Aykroyd himself, and voiced by the ENTIRE original cast. Not only that, but the gameplay feels authentic as well. It really makes you feel like a Ghostbuster. If you've ever loved the Ghostbusters, then this game is practially the ultimate love letter to you. 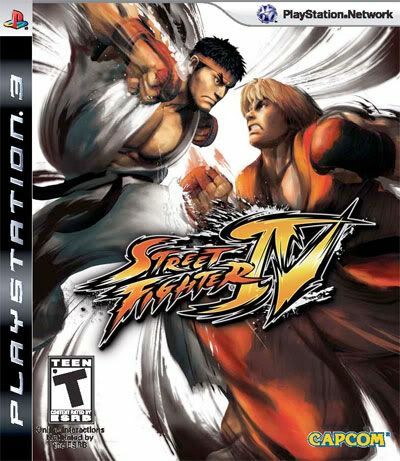 That's right, folks, a fighting game that TOPS Street Fighter. BlazBlue is unique, stylish, and completely over-the-top. And I'll be damned if I don't enjoy the hell out of it. Sure, Street Fighter may have a larger roster of characters, but BlazBlue's 12 fighters are just so OUT THERE, that I can't help but love them. 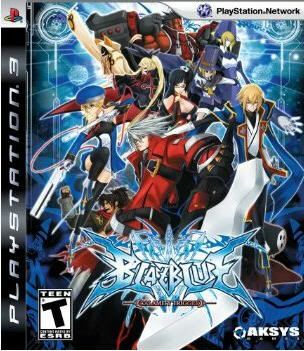 Not only that, but BlazBlue's fighting system is much faster than SF4, leading to much more exciting, chaotic battles. And did I mention there's a story mode? And that it's actually GOOD? Most fighting games just skim over story, but in BlazBlue, they go out of their way to give you something memorable. Oh, and the visuals give us some of the best 2-D sprites I've ever seen in a game. Street Fighter may be the top dog in the Fighting game world, but if BlazBlue is the future, then the future is bright indeed. Some of you might remember how last year, I lamented that Fallout 3 was not quite as good as I had hoped it would be. Well, if Fallout had been more like THIS, I would have seen what all the excitement was about. In most RPGs, random battles are a means to an end. Here, they're the best part. By dipping Diablo in a fresh coat of shooter gameplay, you get the immediate gratification of killing someone, combined with sense of accomplishment that comes with leveling up, and random drops. 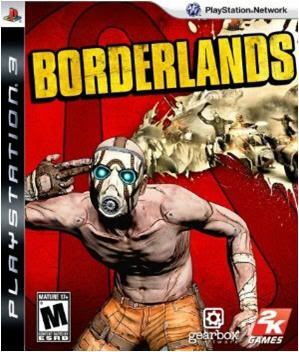 Speaking of the drops, Borderlands has an OVERWHELMING number of guns at it's disposal, from shotguns that shoot missles, to bazookas that spew toxic waste, to revolvers that set you on fire. And this is all brought together with a fun visual style, and tons of humor. Come on, how many games let you blow off the heads of enemy midgets with assault rifles? Earlier, I said that Ghostbusters was "practically the ultimate love letter" to fans. Well, Batman is, without question, THE ultimate love letter to fans. Even non-fans of Batman will love this game. It sparkles with polish, as well as a creepy vibe that will remind fans of Bioshock of a certain underwater city. Stealth, combat, exploration, and platforming all meld together in ways I didn't think were possible in one game, creating the most memorable game I've played all year. 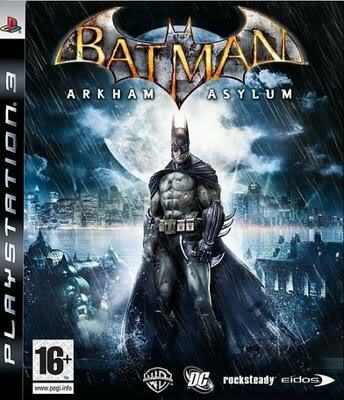 After playing this game, it just seems weird to think that it took THIS long to get a great Batman game. Batman is a must-play game, regardless of your preferences. And there we have it. My top ten games of the year. But really, '09 was just a fantastic year for gaming in general. So much so, that I couldn't even PLAY most of the games I wanted to this year. For some reason or another (mostly cash problems), there were quite a few games that passed me by. So, in addition to my normal list, I'll be listing off my Top Five game of '09 that I missed. 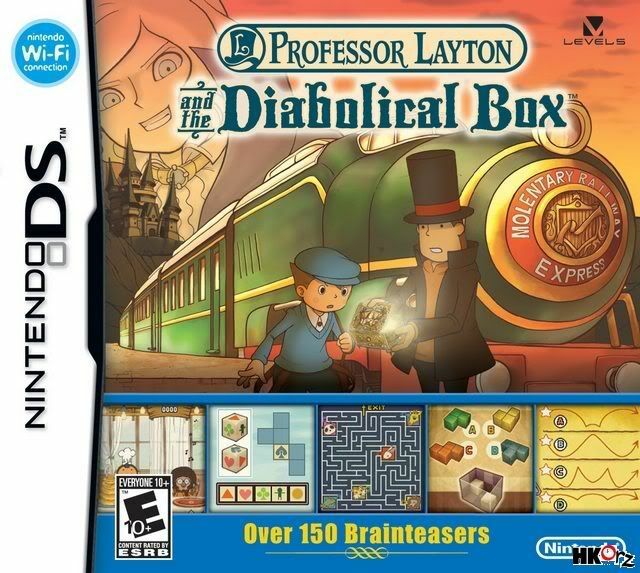 I had my first encounter with the Professor Layton series this year, and I really enjoyed it. But, unfortunately, the sequel came out at almost the exact same time as Kingdom Hearts 358/2 days. I had to pick one, so I went with KH. This game was a victim of not only my light wallet during the Christmas season, but also of the fact that it came in a bit under my radar. Nintendo didn't do much to hype this game before release, so I didn't bother to save up for it beforehand. 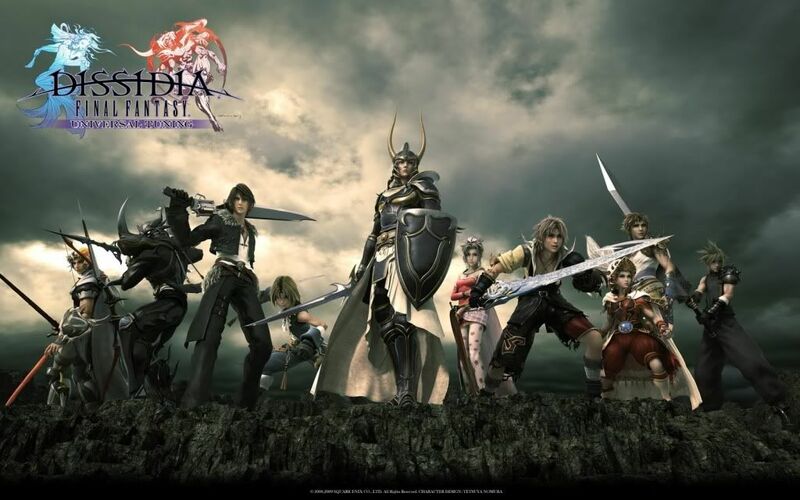 Dissidia looks like a ton of fun, but my lack of a PSP kinda put a damper on my hopes of playing it. However, with the release of Kingdom Hearts: Birth By Sleep next year, I might just pick up a PSP, so this game might not elude me for long. More than any other game this year, this game was a victim of the Christmas season. A tight wallet can be the undoing of even Mario, it seems. This game is AWESOME. Really, I can't stress that enough. But 100 bucks is a bit much to spend at once, especially since I JUST got Rock Band 2 for Christmas. Getting two peripheral-based games at once is a bit excessive. But I WILL be getting this, sooner or later. Two lists at once? Yes, I am JUST crazy enough to do that. Hope this hasn't been a giant wall-o-text for you guys to read. As always, share your opinions, and whatever games you enjoyed this year. Great article! I'll put it on the articles page pretty soon. I'd comment but the only one of these I have is Platinum. Nice list Lee, a bit surprised to see batman at number 1 but i dont blame ya, that game is awsome!